While all gaped, looking at what new alliances are formed in the Middle East and wondering what it all means, just recall the action of the British Empire in the region and the history of Zionism, including its policies, and then the line is already a Jewish state, in against major Arab players, including Saudi Arabia and Iran. And then everything will fall into place, and will not have to guess about what is happening and why. And apparently there is something inexplicable: the US wants to break up its core until the last moment partner in Saudi Arabia, while drawing closer to Iran and quarreling with Israel, which has always been supported by Washington and its main ally in the Middle East. A CSA is trying to flirt with Russia, while Moscow unexpectedly huge honor host to the Emir of Qatar - the worst enemy of the Russian Federation and the main sponsor of terrorism in the friendly Russian countries, primarily in Syria, and along with ally Turkey, with which Russia most frozen all relationships. The fact that Wahhabism was established Judeo-Protestant totalitarian group of "Golden Calf", or as it is sometimes called the "secret world government", where the first cast speak Anglo-Saxon dynasty and family, as well as the richest, "Dynasty" Jewish financial capital. Back in the 70s of the 20th century prominent Saudi writer and journalist Nasser Al-Saeed wrote the book "The History of the Saudi", which states the secret ties with the leaders of the Al Saud Jews. After the publication of this book, the author, who was outside of Saudi Arabia, was killed in an assassination attempt organized by the Saudi royal family hired killers. In its more than 1,000-page work, Nasser al-Said has proven Jewish origin of the royal family, and a detailed description of her manners and moral decay. The first part of Nasser al-Sayyid devoted to the study of the genealogical tree house Saudis, where the author proves the origin of the dynasty of the Jews of the Hijaz and Medina. In the continuation of his book he gives a detailed description of the strong support that the Jews provided the movement of Muhammad ibn Abd al-Wahhab that led to the appearance of the Wahhabi ideology. Then Al-Said analyzes by period planned and implemented actions to move the Jews of religious leadership in Arabia by Muhammad ibn Abd al Wahhab, and the transfer of the political leadership of the Saudi dynasty peninsula. The author describes in detail all the crimes against the tribes of Arabia, the Saudis have committed, as well as the results of their specific facts total extermination. In support of his words, he cites historical photographs and paintings, attesting to the veracity of his information. In addition, the author does not shy away from and close ties royal family of Saudi Arabia with the British that existed in the last century. After all, the cradle of Wahhabism has been controlled by the Saudi Arabia of the primarily Najd in central and eastern part of the peninsula and partially Hijaz on the Red Sea coast. In the book "House of the Saudi" says that his grandfather Muhammad ibn Abd al-Wahhab was a Turkish Jew Suleiman Karakuzi, settled in Hejaz, and the Saudis are descended from a Jew from Basra Mordechai bin Ibrahim bin Musa, who converted to Islam (he went to Arabia in about the 9th century ). This has previously been published online iran.ru January 24, 2014 "a decrepit old men of the family of Al Saud." ُSe. (http://www.iran.ru/news/analytics/92259/Kto_unasleduet_vlast_v_Saudovskoy_Aravii_Dryahlye_starichki_semeystva_Al_Saudov).See chap. "Two versions of the origin dynasty Al Saud. " And in 1960 the Egyptian radio station "Sawt al-Arab", which broadcasts from Cairo, and then the radio station confirmed the Yemeni Jewish origin of the Saudi dynasty. 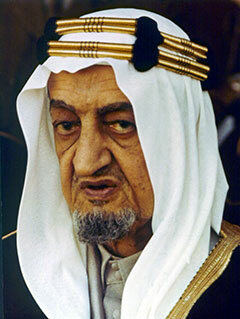 King Faisal at the time could not deny the close relationship of his family with the Jews when he said in an interview, "The Washington Post" September 17, 1969: "We, the dynasty of the Saudi, are relatives (cousins) Jews: we do not share the views of Arabs or Muslims in general, on the Jewish question ... we have to live with the Jews in peace and harmony. Our country (Arabia) is the ancestral home of the Jew first, and from here they spread around the world. " And how can you not remember that the prophet Muhammad lived in Mecca at the beginning of the 7th century, much borrowed for the Qur'an from the Torah, whom he met by the fact that, in addition to the pagan Arabs who have been, and he, as a member of the tribe of Quraish , near Mecca, a tribe living in the vicinity of the Jews, and from the time of King Solomon and the Queen of Sheba. Not by chance in nearby Yemen to the Arab-Israeli war of 1967 lived 250 thousand Jews, who were then driven to Israel, and among them was a popular singer who became modern Israel Ofra Haza. In the modern history of secret contacts between the Saudis and the founder and first prime minister of Israel, David Ben-Gurion began even before the establishment of the Jewish State and continued after. Moreover, creating Israel, Ben-Gurion used the direct support of the Saudi dynasty. On this point there were many leaks in the media in the 50-60-ies, including secret meetings between Israeli and Saudi leaders on the border of the CSA, Israel and Jordan. By the way, King Hussein of Jordan, and he was the head of the dynasty Hashemite who ruled Mecca and Medina as the sheriff of the Hijaz, and patrons of the two main Islamic holy places (Mecca and Medina) to the collapse of the Ottoman Empire, when the Hejaz was under the rule of the Kingdom of Nejd, did not hide the fact the fact that he occasionally met with the following after Ben-Gurion Israeli Prime Minister Golda Meir in Aqaba in Eilat (Royal Palace is located 1 km from the Israeli border on the Red Sea), long before the establishment of diplomatic relations between Amman and Tel Aviv in 1995, that is, when Jordan formally at war with Israel. So Saud meeting with the Israelis might well be held on "neutral" territory of Jordan, given that CSA generously funded the Hashemite Kingdom of Jordan. Interestingly another coincidence of facts: Wahhabism arose in the early 18th century - almost immediately after the Bank of England appeared, based on the money of the Jewish slave traders from the Netherlands, English pirates and the English aristocracy - in fact, mixed together until completely merging into one. The greatest influence on the emergence of Wahhabism has agent Hemfer. The reason for the intense interest was a plan to split Islam and weakening Muslim countries through the creation and makeup of regional conflicts - for direct access to the Judeo-Protestant traders to the market of the East. It is no accident that the Wahhabi Islam as two drops of water reminiscent of extreme forms of Protestantism. The proximity of Protestantism, with its slopes in the "Old Testament values" and "the values ​​of Judaism," specific evidence is not required (and that Zionism is fueled by money Rothschild family, nurtured primarily in transactions involving the Bank of England, and became peers of England You can once again do not recall). However, we must go back to 1920 for understanding the origin of this informal alliance between Saudi Arabia and Zionism, and then Israel. The defeat of the Ottoman Empire, primarily from British imperialism in World War I, leaving three of the ruling dynasty in the Arabian Peninsula: Sheriff Hijaz Hussein bin Ali Hijazi (in the west), Ibn Rashid (family Al Rashid of the tribal union Shammar) from Hail (in the north ) and Emir Ibn Saud of Nejd (in the east), based on Wahhabism in the face of family Aal Sheikh. Ibn Saud entered the war at the beginning of January 1915 on the side of the British, but was quickly defeated, and his British "curator" William Shakespeare is an ally was killed by the Ottoman Empire Ibn Rashid. A sheriff Hijaz contributed to the defeat of the Ottoman Empire more than any other, starting the so-called "Arab Revolt" in June 1916, which led to the departure of the Turks from the Arabian Peninsula. And its main sponsor was Henry McMahon, the British High Commissioner in Egypt. This sort of adviser and chief of staff Rebel Hijaz was the legendary British Colonel Lawrence (of Arabia named). The British insisted on making the sheriff the Sykes-Picot agreement on the division of spheres of influence between England and France in the Middle East and its participation in the implementation of the Balfour Declaration, guaranteed for the Jewish people in Palestine, the future establishment of its national education through the colonization of the Palestinian land by the Jews of Europe. But the sheriff was opposed and rejected the Balfour Declaration, as well as new border drawn by Arabia to British and French strategists. After the Cairo Conference in March 1921, where the new Colonial Secretary Winston Churchill met with all the representatives of the British in the Middle East, Lawrence was sent to meet with Hussein to bribe and intimidate him for taking the British colonial project for the Zionists in Palestine. Lawrence Originally offered 80,000 rupees. Sheriff rejected. Then the colonel offered him an annual payment 100 000 £. Sheriff again refused to "sell" the British Palestine Zionism. When his attempts failed final financial bribery, Lawrence began to threaten him that the Hejaz with Mecca and Medina will be "absorbed" by Ibn Saud, and will be part of Najd. At the same time Lawrence visited the other clan leaders and tribal chiefs in the Arabian Peninsula and brought to them that if they will not disrupt the British line on the basis of the Balfour Declaration, and will not enter into an alliance with the sheriff, then London will bet on Ibn Saud and his Wahhabi. At the same time, right after the first of the Cairo Conference (1943), Churchill went to Jerusalem and met with Hussein's son Abdullah, who was seated on the throne of Britain as governor with the title of "emir" of a new territorial entity called "Transjordan". Churchill told Abdullah that he had to convince his father to accept the transfer of Palestine under the British mandate and to sign an agreement, and if Britain did not "release" Ibn Saud against the Hijaz. And at the same time in London, we decided to incite Ibn Saud on the ruler Haile Ibn Rashid. But he rejected all "overture" of the British Empire, executed him by the Ibn Saud, in order not to turn into his puppet. Moreover, the summer of 1920, Ibn Rashid expanded its territory to the north up to the Palestinian border, that is the territory mandated by England, as well as to the borders of Iraq. The British greatly concerned about the possibility of forming an alliance is brewing between Ibn Rashid, who ruled the northern part of the peninsula, and Hussein who ruled the western part. In London, I wanted to land routes between the Palestinian ports on the Mediterranean and the Persian Gulf were controlled by "a friendly party." At the Cairo conference, Churchill agreed with one of the representatives of the British Empire in the region, Sir Percy Cox, Ibn Saud should be given the opportunity to take Medina. By the end of 1920 the British gave Ibn Saud monthly "grant" of 10 000 £ in gold on top of his monthly subsidies. He also received a generous supply of weapons - more than 10,000 rifles and four field guns, as well as the British-Indian military instructors. In September 1921, London gave "good" Ibn Saud Hail to capture that after the Saudis officially surrendered in November 1921. After this victory, the British titled Ibn Saud, instead of the former "Emir of Nejd and the head of his tribe" in the "Sultan of Nejd and dependent territories", and Hail fell into complete dependence on him. A new round of talks between the son of Abdullah, acting on behalf of his father in Transjordan and Britain led to the draft agreement, recognizing Zionism. When it was brought to the sheriff with a cover letter from his son, asking him to "accept the reality", he did not even bother read the agreement and instead made his project, rejecting new "education" in Arabia, as well as the Balfour Declaration, sending him to London for ratification. Ibn Saud began his siege of Jeddah in January 1925, and in December 1925 he took the Wahhabis. This ended more than a thousand-year reign of the descendants of the Prophet Muhammad. British officially recognized Ibn Saud, the new king of the Hejaz, in February 1926, and then did other European countries. The new unified state Wahhabis in 1932 became the Kingdom of Saudi Arabia. And that is typical at this time of the mass movement of European Jews to Palestine with the support of the largest financial institutions in England, France and other countries. Thus implemented the Balfour Declaration regarding the establishment of a "national home" for the Jewish people. The borders of Saudi Arabia, especially the north and northeast, have become "product" activities of the British Empire, which greatly simplifies the creation of Israel. At least, this contributed to the forcible elimination of two Arab Emirates: Hail and Hijaz, opposes the creation of a Jewish state in Palestine. A Wahhabi Ibn Saud thereby contributed to simplify the implementation of the Zionist project of the British Empire on Palestinian land. The irony lies in the fact that two of the most sacred places of Islam today govern clan and the Saudi Wahhabi scholars who in the 1920s did a lot to launch the process of creating a Jewish state in Palestine. Therefore it is not surprising that both Israel and Saudi Arabia are now heavily involved in the military intervention on the side of jihadist terrorists (KSA - open, while Israel is hidden) in Syria. A secret alliance between the Kingdom of Saudi Arabia and Israel is not a secret to anyone who has studied the history of British colonialism. It is enough to view any essay on this subject for the British university diploma, not to mention nothing of the Master's degree. It was the British Empire was at war with the entire world for nearly four hundred years of modern history. She became the victim of both Russia and the Arabs, including Palestine, the territory of which was created modern Israel, not to mention Africa. And the continental Europe has inherited from the intrigues of London, which is facing its major countries, mainly France, Germany and Russia, up to the outbreak of the first and second world wars. As the British and now set against the entire world, especially the US and the EU, Russia and personally its president, Vladimir Putin. And from the perspective of the indigenous British submitted, it is normal and even achieving the UK. In late 2014, if you can believe the US magazine Foreign Affairs, Saudi Oil Minister Ali al-Naimi was quoted as saying that "His Majesty King Abdullah has always been a model for good relations between Saudi Arabia and other countries, and the Jewish state not an exception" .And only recently the present King Abdullah's successor Salman expressed his sympathy like the Israeli leaders who expressed strong dissatisfaction with the agreement between the "six international mediators", and in the realities of the US with Iran over its nuclear program. And while many analysts- blizhnevostochniki finally understood that Israel and the CSA brought a united front in their opposition to the agreement on the Iranian nuclear program. 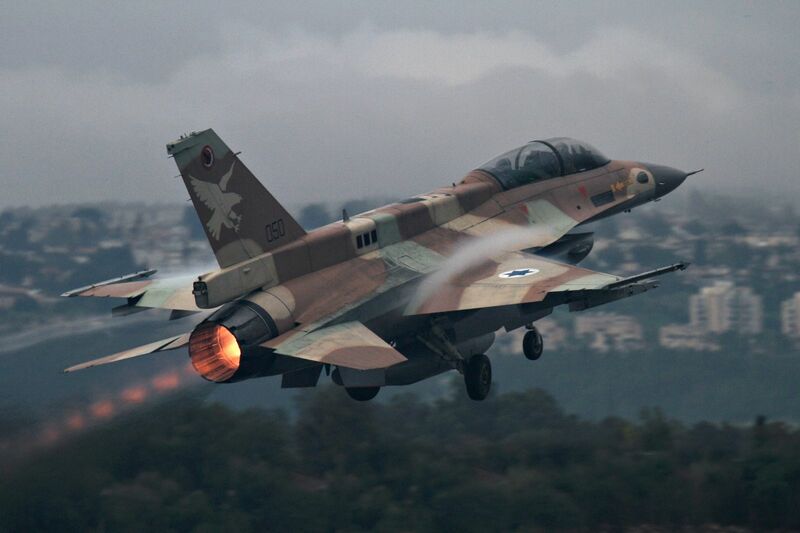 As a little earlier, in 2010, when Israel threatened to strike missiles and aviation nuclear facilities nuclear Iran, Saudi Arabia, under the pretext of the exercise of its air defense system, announced the opening of its airspace to a day or two in the hope that Tel Aviv would send through the Air Force drones and missiles against Iran. But Washington did not allow such a scenario, fearing that Tehran carry out an operation of revenge by destroying the entire oil and gas infrastructure in the KSA, Qatar and the UAE. Then would come the collapse of the international energy and oil prices have rebounded to 300-350 dollars. Per barrel, which would be further enhanced Russia. It was not the first experience is actually an open military-political cooperation between Riyadh and Tel Aviv, where they have a common enemy. In North Yemen in the 1960s, Saudi Arabia funded a campaign in London against the Republicans, who came to power after the overthrow of Imam, a former head of state severoyemenskogo. Egypt under President Nasser, on the contrary, supported the Republicans by sending an expeditionary force, while the British and the Saudis financed and armed supporters of the Imam. In this operation, the third participant was Israel, who thus hoped to strike at the regime of Gamal Abdel Nasser as their main opponent among the Arabs.Through the Yemeni Jewish community, including those living near Sanaa, Israeli intelligence collected and explored by the British or directly transfer the information to Riyadh. As is happening now against Shiite Huthis, since they are the enemy of Israel due to the fact that the rebels focused on Tehran and pose a threat to the Saudi kingdom. But this is done without the mediation of London. Relations between the Israeli Mossad and the General Intelligence Service KSA today has several main objectives: 1. to prevent the transformation of Iran into a leading sub-regional power of the Middle East; 2. Suppress and weaken the "Muslim Brotherhood" because of their anti-Zionist and anti-Wahhabi sentiment, especially in Egypt and Palestine. After all, Hamas - is nothing more than an offshoot of Palestinian "Muslim Brotherhood." And both countries support the military regime of General Abdel Fattah Alsisi in Egypt that overthrew the president of the "Muslim Brotherhood" Mohammed Mursi, who was elected by a majority of the population of Egypt. But the main purpose of the Saudi-Israeli partnership, of course, Iran and pro-Iranian Shiite Hezbollah in Lebanon. After all, if the US and the West to bet on Iran as a major pillar of stability in the region, Saudi Arabia and Israel will lose its role as Washington's key partners in the region.So Riyadh and Tel Aviv to get closer to this wave of anti-American, and try to engage Russia in its machinations, acting cleverly and aggressively.So do not be surprised that Moscow is willing to go for rapprochement with Saudi Arabia and Israel, at the same time began to lose Iran, which is really more important for the Russian Federation not only in the Middle East, but also in the Caucasus, in the North Caucasus and Central Asia .It's hard to say that here plays a major role: the desire of Russia to receive the financial resources of CSA, as well as dependent kingdom GCC or the effect pro-Israel lobby in Russia. After all, to some extent, this is beneficial for Moscow's game against the United States in terms of the lifting of sanctions and the increase in oil prices, it is impossible to do without in Riyadh and the Jewish lobby in Washington. But we must remember that in the US soon elections, and no one can tell how to behave in the new president against the three key players in the region - Iran, Israel and Saudi Arabia. So Moscow is to be careful and remember that an old friend (eg Iran) is better than two new ones. In principle , it is possible to remain generally empty-handed, having lost Iran, and not acquiring an ally of Israel and the KSA.